MSI-ECS Philippines was kind enough to let me play with some of their Genius GX Gaming Series accessories, that includes their gaming keyboard, MMO/RTOS professional gaming mouse, mouse pad and speakers. 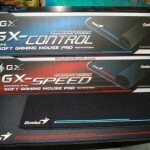 First, let’s take a look at the Genius DeathTaker Gaming Mouse and GX Control/Speed DarkLight Mouse Pads. And let’s see how does these gaming peripherals par with other gaming peripheral makers (like Razer, Cooler Master, etc) in terms of design, quality, functionality and price. 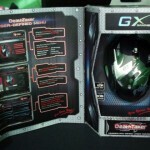 First let’s review the DeathTaker Gaming Mouse, followed by the GX DarkLight Mouse Pads. 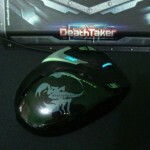 The Genius DeathTaker is a MMO/RTS gaming mouse that belongs to the Genius GX Gaming Series. It has total of 9 buttons that are all fully customizable/programmable via its application software. It has a dpi range from 100 dpi up to 5700 dpi, and can be change on-the-fly. It also features adjustable metal weights of 4.5grams each, with 6 weights in total. And it has a changeable RGB backlight color to fit your style. 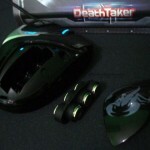 Just like any other professional gaming mouse, the DeathTaker has a nice packaging. You will have a nice view of the mouse without getting it out from its box. It’s not an ambidextrous mouse like the Ouroboros, instead it’s built for right handed users. There is a thumb-rest located at the left side of the mouse. You can see the backlight from the scroll wheel and the “GX Gaming” logo near the left click button. 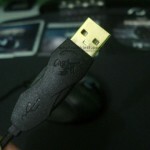 The DeathTaker has a braided USB cable just like the gaming mouse nowadays,and a rubber coating finish for better grip, except for the portion where you can see the large scorpion logo. It’s made of plastic with glossy finish and it’s removable. Beneath the removable plastic is where you place the adjustable weights. It also has a thick USB gold plated plug which I did not like because it tends to hit the other USB plugs connected to the motherboard due to its thickness. 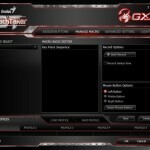 The four images above is a screenshot of GX Gaming DeathTaker’s application software. From there, you can assign different commands for each button. You can also manage the macro settings, as well as the speed and sensitivity from the software. On the last menu is where you can change the color of the backlight and its lighting options. If you have been using a gaming mouse before with settings like this, it’s pretty much the same. 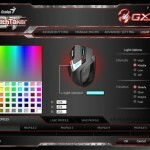 The Genius GX Gaming DeathTaker is equipped with the right tools what most gamers are looking for at a cheaper price compared to Razer and other brands. But it’s not perfect yet. It still have room for improvements. First, it doesn’t have that “premium” feeling that other leading gaming mouse has (like Razer’s), and the buttons feels flimsy, specially the side buttons. Second, Genius could have made the whole surface rubber coated instead of partial only. 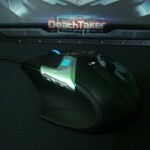 If you are looking for a cheaper professional gaming mouse, then you might want to consider DeathTaker. But I would suggest you check it out first and see if it fits your hand and feel comfortable using it. 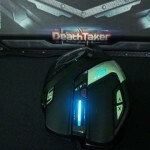 The Genius DeathTaker currently has a suggested retail price of Php 2,290.00 in the Philippines. When it comes to gaming mouse pad, most of them usually have similar textures; a little bit rough for “control” type of pad, and smooth and silky for the “speed” type of pad. 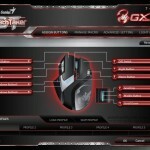 The GX Control (the one with the rough surface) is for gamers who wants more control when using the mouse. Making sure that unnecessary movements are avoided. Key word here is precision. But the thing that I do not like about these type of mouse pad is that dust easily sticks on its surface, and it’s a little bit difficult to clean them off. 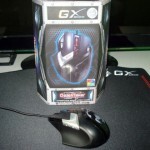 Meanwhile, the GX Speed (the one with the smooth surface) is for gamers wants a more fluid movement of the mouse. Keyword here is speed. 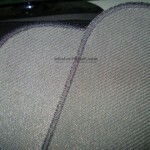 Both of them have a rubberized material underneath to ensure maximum surface grip. If you are going to ask me I would prefer the Speed type of pad. 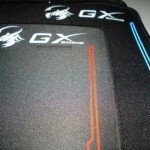 Both the GX Control and Speed DarkLight mouse pads are available for only $19.50. Plus, it’s more cheaper compared to other gaming mouse pads currently on the market. It offers more surface area for a much affordable price. 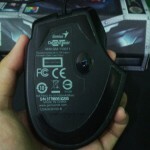 Summary: My rating for the Genius DeathTaker Gaming Mouse. It's an affordable professional gaming mouse with 9 fully programmable buttons. But it needs improvements.